Setting up an adventure blog might sound complicated with a lot of jargon words, but really the process doesn’t take more than 10 minutes. I hope this step by step guide will make it as easy as possible for you! Of the many blogging platforms out there, WordPress is, by far, the most popular (as you can see by these stats). This is for good reason. 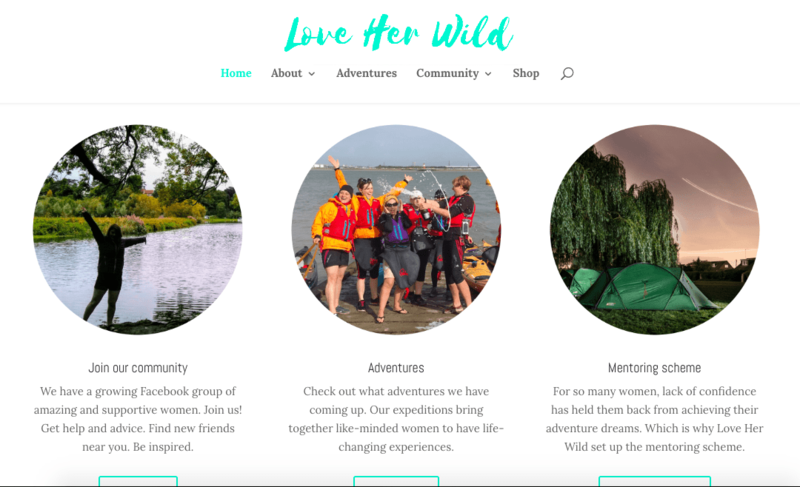 I use WordPress myself (for both the Ordinary Adventurer and Love Her Wild). For a short time, I switched to Squarespace and absolutely hated it so quickly ran back with my tail between my legs. There are lots that I love about WordPress……its flexibility, functionality, ease of use and the large community of people who are happy to share their ideas online. It’s an excellent choice. A self-hosted WordPress costs a little bit of money but will give you much more control and flexibility. It’s absolutely what I recommend. People think building a blog with an independent domain is rocket science and only capable computer geeks can actually crack that equation. I am not a geek (obvs) and cracked it…..it really isn’t so hard. WordPress is a free open source content management system (CMS) that is made to manage blogs. It’s so advanced that its abilities cater for 25% of ALL websites on the web whether you get 1 visit per day or 1,000,000. Its does it all. Hosting is the storage space for your blog. The same way you have a shed in the garden to store all your old camping gear, the hosting service stores all your images, graphics, document and software for your blog. The hosting service should be reliable to allow 24/7 access for visitors to your blog. The most common type of hosting is called Shared Hosting where the providers host many websites on their own physical web server. To build your blog you will need to rent hosting space to store your blog. I’ve been using many different hosting providers and SiteGround is by far the best hosting for WordPress sites. They are really stable, they have great online support and great tools specific for WordPress users. This is where I lied a bit by saying this would take 10 minutes. As you can probably imagine, most domain names have already been taken. It is going to take some time to rejig word options to find a domain name that is free. Make sure it isn’t too long and is catchy and easy to spell (or you’ll regret that down the line). Ideally, you want one with a .com option. Follow this link and select the StartUp hosting plan which is perfect for a new blog. If you are planning to create more than one site you can select the upgraded plans. You can always upgrade your plan later on but the basic ‘StartUp’ is perfect for one site. 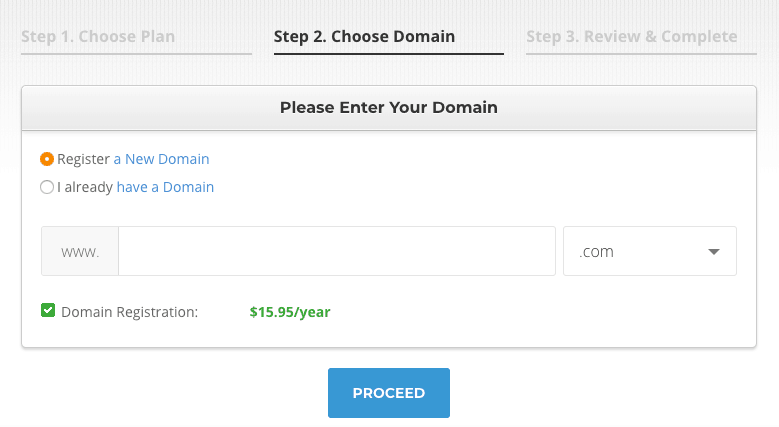 Once you’ve found GET PLAN you’ll be asked to choose your domain, this is where you can check what domains are available to purchase. Then click proceed with the one you decide to go for…. After choosing your domain you’ll be asked to create an account with SiteGround, enter your personal information, payment details and choose several settings for your hosting plan. Under Purchase Information you will have the option to select your Data Center location. It doesn’t have a huge effect on your site, however, it is best to choose the data centre closest to where the majority of your readers live – it will have a slight effect the loading speed. Click the 🔄 to change the location. You can also choose the length of your hosting period, choosing longer than 12 months will keep the initial discount price for longer. There is no need to change the Extra Services section unless you would like to choose the domain privacy option to hide your personal information from the public. The Domain Privacy feature protects your personal details from being publicly available in the Whois database and makes the contact information related with your domain name private. In other words, you would be able to hide your name and organization, address, phone, email address, etc, which will be otherwise accessible through public domain Whois queries. After reviewing all the information click Pay Now. Following the payment, you will be asked to set up your login details to your new account. cPanel in your hosting control panel which provides many tools for website management, however, you don’t need to understand all of them in order to install a WordPress site. Once the installation is complete your blog should be live and ready to be configured. It can take up to 24 hours for the domain registration process to take place so if you can’t access your site straight away just wait a day and try again. There are many useful youtube tutorials about how to use your WordPress dashboard, change themes, widgets, plugins, sidebars and menus. Just search on youtube “how to change a theme in WordPress” or “how to create a post on WordPress”. But I hope this has got the worse of it out of the way!